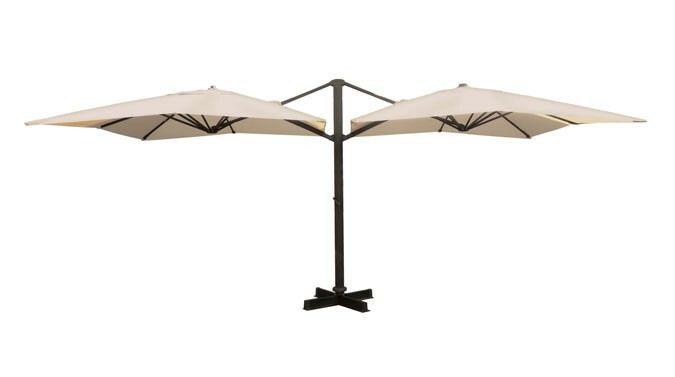 Double retractable umbrella with aluminum frame anthracite, aluminum ribs and Olefin fabric cover with beige water-repellent coating. Opening crank. Ballast not included.